Are you afraid? Does your everyday life provoke anxiety in you? Our fallen world takes a toll on all of us, but it’s especially hard on women. We tend to carry concerns and burdens for those we love—and those can become so heavy at times. Scripture reminds us not to allow ourselves to be overwhelmed by fear and anxiety. But it helps to arm yourself with the right tools. And despite the darkness around us—and the brokenness within us—we really can become free. We really can run fearlessly forward in this world with the femininity and strength that exemplify life-changing beauty. 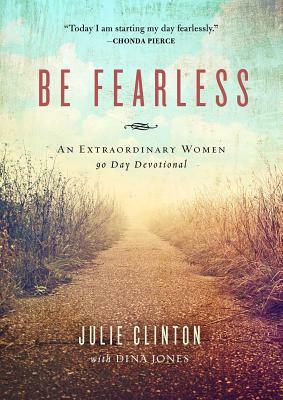 Be Fearless is the Scripture-filled 90-day devotional that will transform your life into one of awesome power. Full of verse, psalm, and song, Be Fearless offers gentle words of encouragement so you can find the strength and courage to live your faith. When you live as a fearless woman, you’ll know that God is your Abba Father, that He’s seeing you through, that He’s carrying you, and that He’ll never leave you or forsake you. You will live your best life when you can live—fearlessly.